First off, Happy Thanksgiving! Many of you will prepare some dish for the occasion, something you look forward to eating all year; yet, reserve just for this day. To what degree your family’s spread resembles that shared in Plymouth, Massachusetts may be far from your mind (just pass the stuffing already). 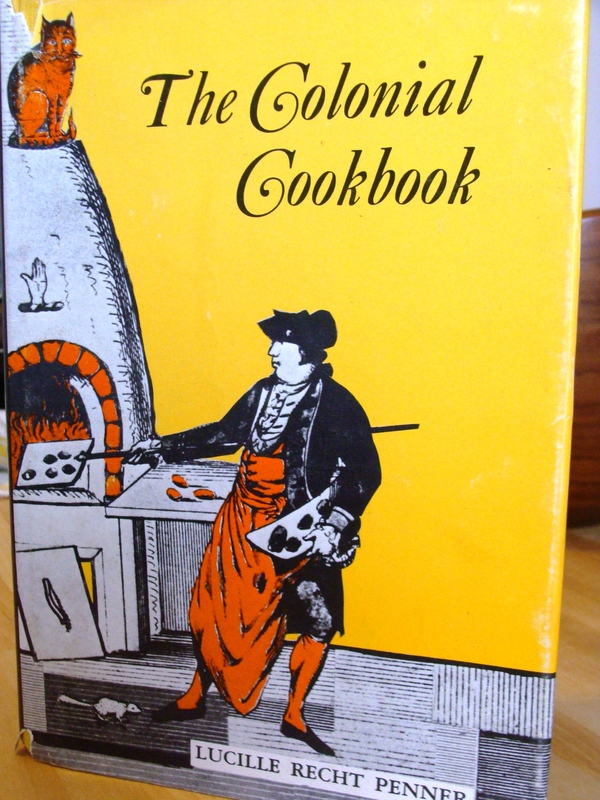 But curiosity got the best of me when I came across a copy of The Colonial Cookbook, by Lucille Penner. Maybe it was just the light reading I needed, because I read it cover to cover and earmarked at least 10 recipes I wanted to prepare. I have to say I had “a moment” when, having read Colonial Cookbook’s recipe for fried ham with red-eye gravy, I went to the East Village restaurant Back Forty and found it on their brunch menu–it’s for real! (Red eye gravy, by the way, is a pan gravy made with strong coffee. Definitely a unique flavor that pairs well with salty/sweet ham. I ordered it and was not disappointed). 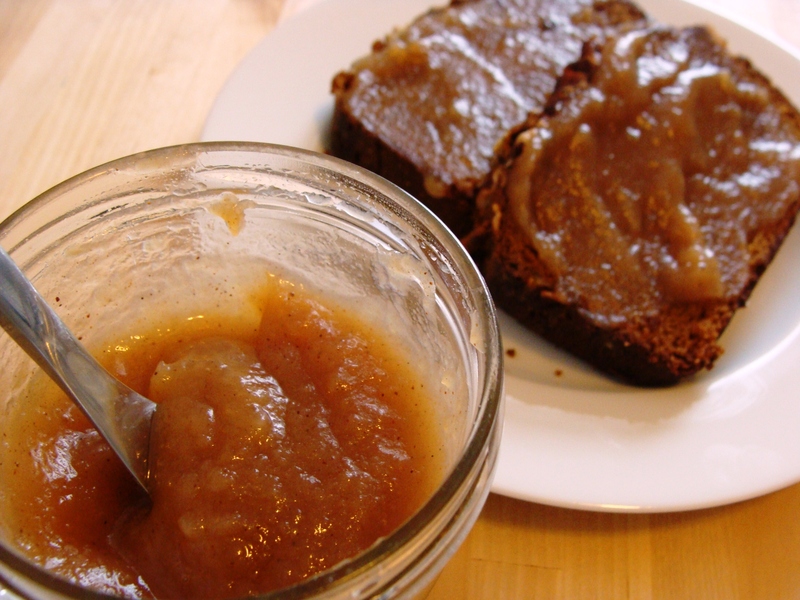 “Apple butter was made everywhere in the colonies….at harvest time, a huge kettle was set up over an outdoor fire. The cooking and boiling of apple butter went on until there were no more spare jugs or crocks to be found.” So, equipped with my gas stove, a pot, and empty jelly jars, I was ready to be colonial for an afternoon. 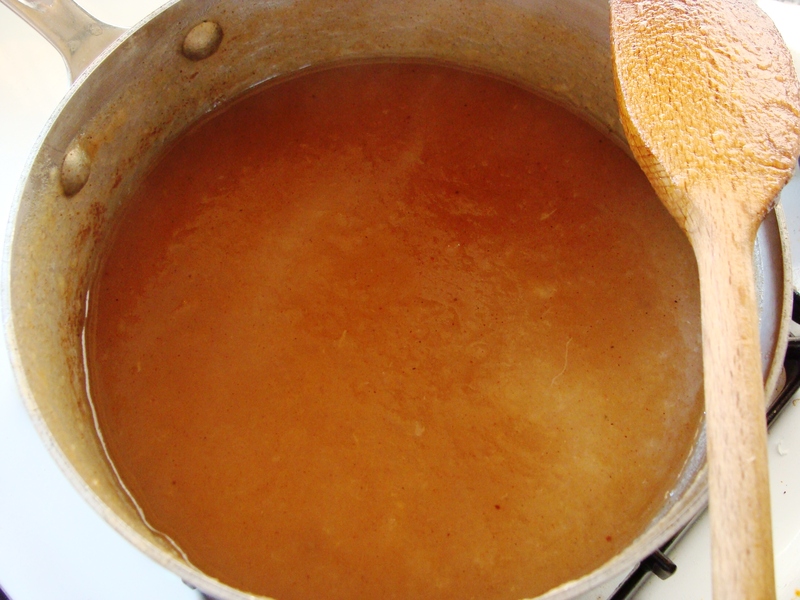 Below is Penner’s recipe for apple butter, and some step by step photos. Boil the cider in a 4 qt saucepan for 15 minutes. 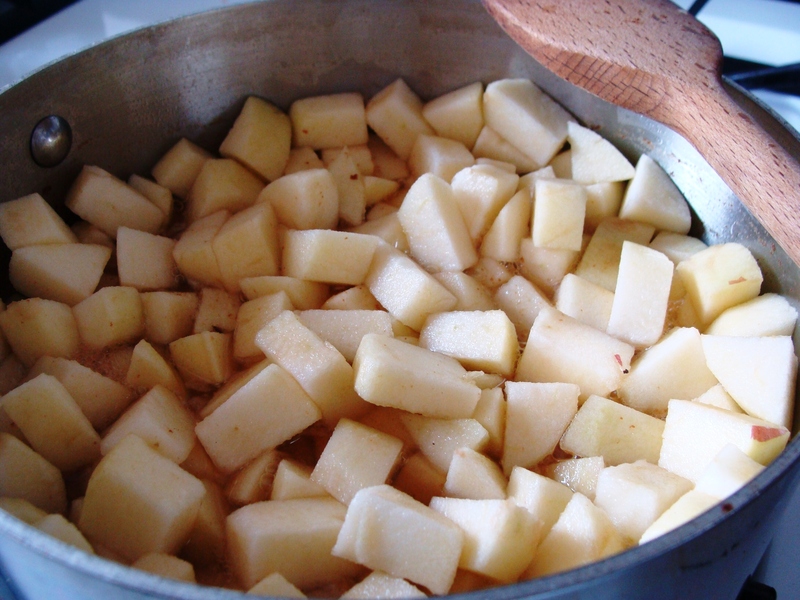 While the cider boils, peel and core the apples; chop into small pieces. Add apple pieces to the cider. Cover and cook over low heat until tender, about 1 hour, stirring often. Remove the pot from heat. Using an immersion blender or masher, blend apples until smooth. Leave a little texture behind if you’d like. Stir in the honey and spices. Put the pot back on the heat and cook over very low heat, stirring frequently until the mixture thickens, about 30 minutes. Cool the apple butter 1-2 hours in the pan. Transfer to jars and refrigerate. Makes about 2 pints. Also, consider making the recipe in a slow cooker. So, wet heat (literally) was what I worked through that summer, learning that sticky toffee pudding and Mexican tamales are actually dumplings! And that I’m a huge fan of dropped dumplings (a Grunt and Cocky’s Joy come out on top for flavor and funny names). And I learned that my supportive husband, then fiance, will try anything I cook; although, we’re both still suspicious of tripe.